Cold Porcelain Clay is called such because it looks similar to porcelain and although heat is used in the making process the final product is air-dried and so does not need to be fired in a kiln. Once made it can be used like any other clay, but remember that whatever item you make must be left to dry completely and then it must be sealed & protected with a varnish. You can use either a cooker hob or microwave to make the clay; both heat sources do the same job and do not affect the result. 1. Decide how you are going to heat your clay, either on a cooker hob or in a microwave. If you are using a cooker hob you will need a saucepan, if you are using a microwave then you will need a microwavable bowl. 2. 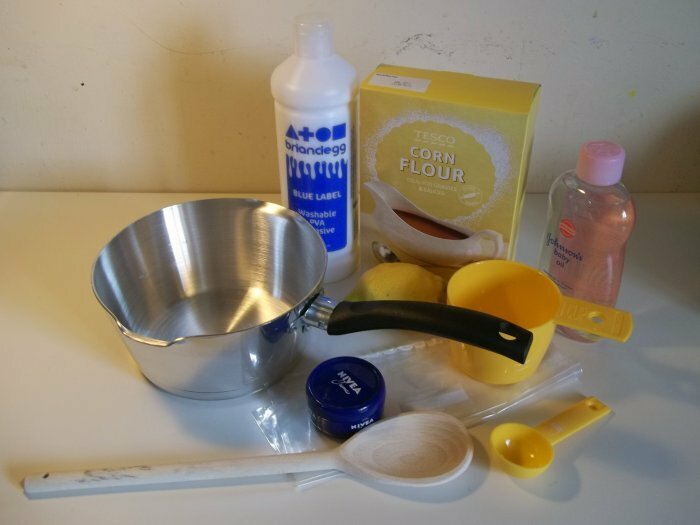 Place the measured cornflour (cornstarch) and PVA glue in the pan/bowl and mix together. 3. Stir in the baby oil and lemon juice. 4. 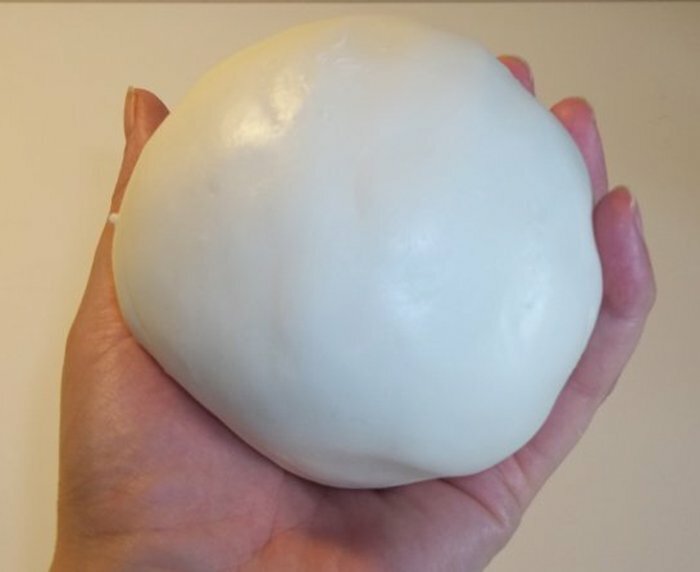 Gently heat until it forms a solid ball - It will gradually go lumpy, then clump together to form a ball. The clay will get quite tough to stir as it thickens. Mine took about 8 minutes. 5. Spread a small amount of moisturiser on your work surface, tip the clay out and knead until cold (it will be hot to start with so be very careful) - fill your pan/bowl with hot water to soak. 6. Put a little moisturiser in the plastic bag and rub it around so the sides are covered. 7. 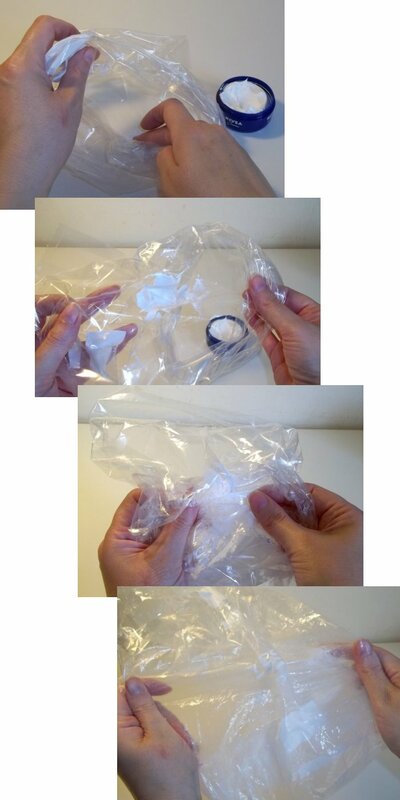 Place the ball of porcelain clay in the bag, squeeze out all the air from the bag, twist to seal and leave for 24 hours before using. 8. Your clay can now be used for any number of sculpting craft projects. Now you've made your Cold porcelain clay, why not have a look at our tutorial on making decorative roses? Follow the link below.